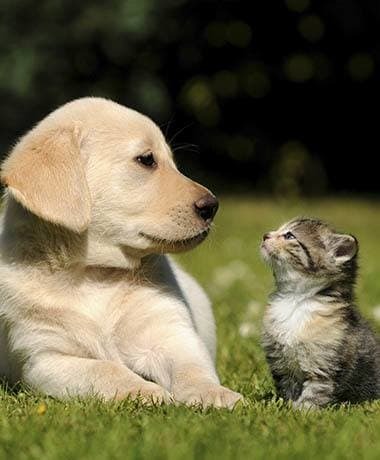 Thank you for visiting the All Creatures Animal Clinic website. Check regularly for our latest special promotions for your furry friend. For more information on what specials we offer view below. Must have been examined by one of our veterinarians within the last 6 months. Heartworm disease is a serious and potentially fatal disease. It is caused by a blood-borne parasite known as Dirofilaria immitis. The most obvious clinical signs of heartworm disease are a soft, dry cough, shortness of breath, weakness, nervousness, listlessness, and loss of stamina. All of these signs are most noticeable following exercise, when some dogs may even faint or become disoriented. Your veterinarian may notice abnormal lung and heart sounds when listening to the chest with astethoscope. In advanced cases, congestive heart failure may be apparent and the abdomen and legs will swell from fluid accumulation. There may also be evidence of weight loss, poor condition, and anemia. Severely infected dogs may die suddenly during exercise or excitement.